This article is a review of MCCULLIN. 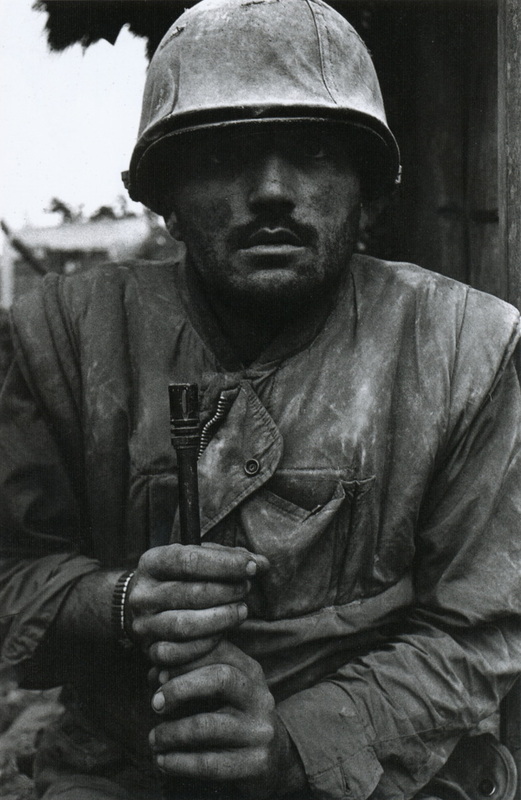 Opening on the Vietnam War, and then regressing to the start of his career, this documentary is a celebration of the work of photojournalist Don McCullin. MCCULLIN is a whirlwind tour through a remarkable professional life over 20 years. His background growing up poor in Finsbury Park, London, clearly affected him. 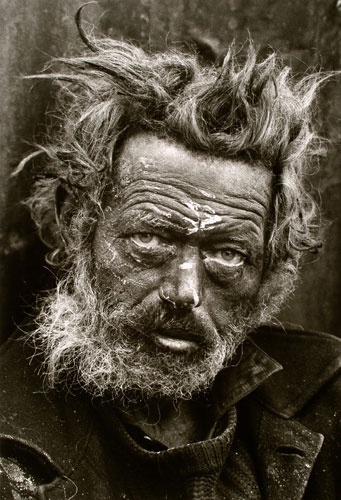 We see later how he captured images of the homeless, giving his subjects dignity, poetry and a voice. McCullin states he couldn’t read properly, and the community was full of gangs and violence; but ironically they proved his salvation. With an inherent gift it seems for composition and knowing when to click the shutter, his portraits of a local gang were bought by The Observer, who wanted more; and that opened the door to another world. And his education began. The man, we see before us being interviewed, is nearly 75, and clearly bright, articulate and informed. Even though the talking heads explain why a particular photo is impressive, we as the audience can see his talent – but the commentary does dissect and elaborate, which proves fascinating. 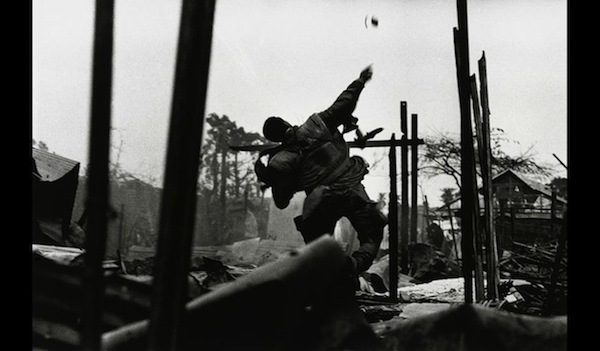 Throughout MCCULLIN the analysis of some of his most searing images are contextualised, via titles succinctly explaining wars, together with footage of the arenas. He has a great eye, and what he captures is extraordinary. McCullin has an intuition, which he calls “sensitivity”, to convey so much with just the push of a button. Former Sunday Times editor, Harold Evans, talks of his cold eye and warm empathy, together with words exacerbating images. The doc is a powerful showcase of post-Second World War global conflict, including Northern Ireland and the Congo to Beirut and Cambodia; from the perspective of a gifted humanist. 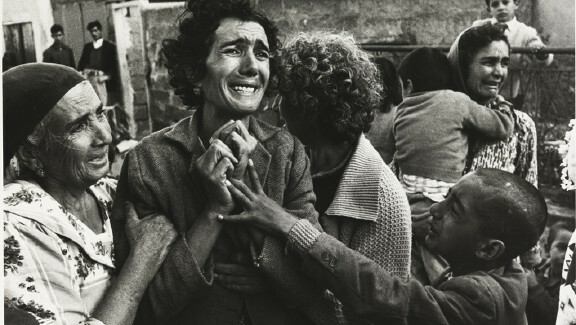 I wonder how Don McCullin isn’t desensitised or traumatised by what he has witnessed and captured. Don states that he sleeps fine, but it’s when he’s awake that it all comes to him. In an archive interview with Michael Parkinson, Don states he doesn’t think he makes a difference, but I can’t believe that highlighting atrocities in the major press doesn’t shift some aspects of public perceptions. You may disagree. Man’s inhumanity to man is laid bare over about 90 minutes. The footage is not gory, it is the photography that conveys brutality; and damns those who instigate, and the powerful that sit idly by. 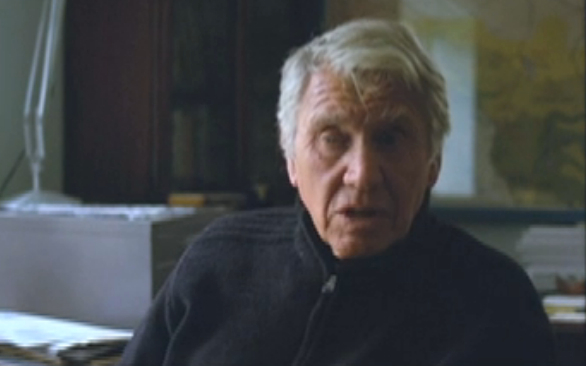 Not only exploring war, MCCULLIN is a scrutiny of journalism. How a political beast like Don could have free rein in the 1960s and 1970s to cut through propaganda and reveal the truth as he saw it, seems like the distant past. Moving from The Observer to The Sunday Times was when he became a superstar in his field. (His addiction to being on the frontline took its toll on his family life.) However after a bitter dispute between the unions and management, The Times and Sunday Times were sold to the Rupert Murdoch burgeoning empire in 1981. And the film makes no qualms in signalling the beginning of the end for his relationship with the paper: The different direction The Sunday Times took was not for the better. Very topical obviously, with the Leveson Inquiry ongoing. What is also interesting is how the authorities learnt from the negative portrayal by the media of the Vietnam War; and that kind of liberty to report has been drastically curtailed in theatres of conflict since. Combined, Don was barred from the Falklands War. We don’t get negative opinions towards Don McCullin, except his own – such as relaying accusations of voyeurism, and making war look cool. Those are questions for you to answer, but for me, he is being too hard on himself on those counts. MCCULLIN is a celebration of journalism, and hopefully not a memorial. Rumours suggest that Tom Hardy wants to play him. I want to see that.